Associations are often expected to provide educational opportunities for its members, often through in-person meetings. As these typically occur only once or twice a year, other learning options should be considered to continue member engagement throughout the year. Webinars are a cost-effective way to provide educational content to your members. A monthly or bi-weekly webinar series can not only keep your current membership involved in your association in between in-person meetings, but also attract potential new members. The only costs to consider are typically incurred by the webinar platform itself. Content can be developed by experts already within the association, or by vendor partners. 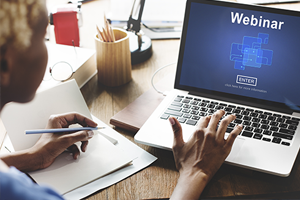 Partnering companies are often eager to engage with your members, but it is important to prevent the webinar content from straying too far from educational territory and into self-promotion. You may also have the option to provide continuing education credit for your webinars. And, at the completion of the webinar, recordings can be archived on your association's website, providing valuable content to offer your members.